We are a traveling petting zoo. We visit nursing homes, schools, fairs, birthday parties, day cares, fundraisers, etc. Ed Nolan has been in the traveling petting zoo business for 15+ years. We travel south to St. Louis area, north to Oswego, east to Sullivan area, west to Quincy...and every where in between. 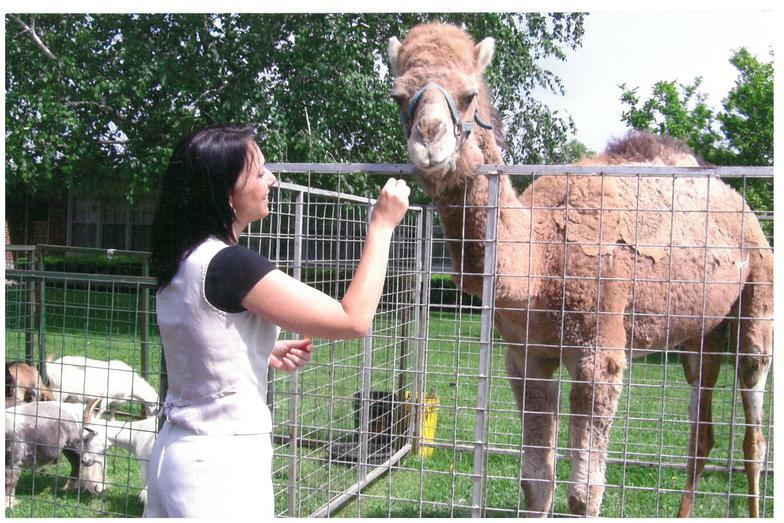 We pride ourselves in having good, clean, healthy animals and take excellent care of the animals to ensure that your child, business, party, or company function is receiving the best quality petting zoo. We have a nice variety of animals. Including...but not limited to...camel, reindeer, donkey, zebra, llama, goats. At Christmas time we do live Reindeer visits with or without a sleigh. We also do Live Nativity Scenes. We are USDA & State licensed and fully insured. 15+ years in the petting zoo business. We travel all over the St. Louis area. Call us today for a free quote to bring the Nolan Petting zoo to you. You can visit our animals at Haypress Falls.